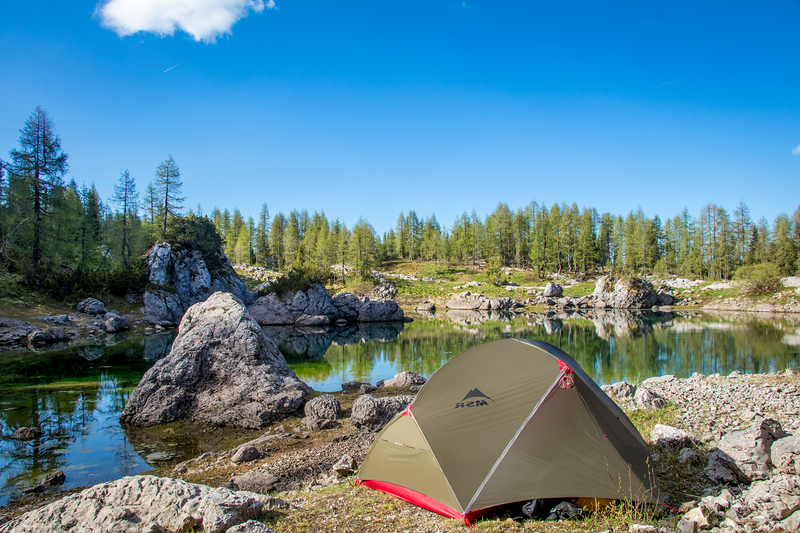 Why tent color is essential! When we were looking for a new tent, we wanted to have a bright orange tent, because we saw all the fantastic images of these tents in the middle of nowhere. But if you start thinking about the advantages and disadvantages a bright color has, you might change your opinion. You have to consider, where you want to camp and how you want to use your tent. 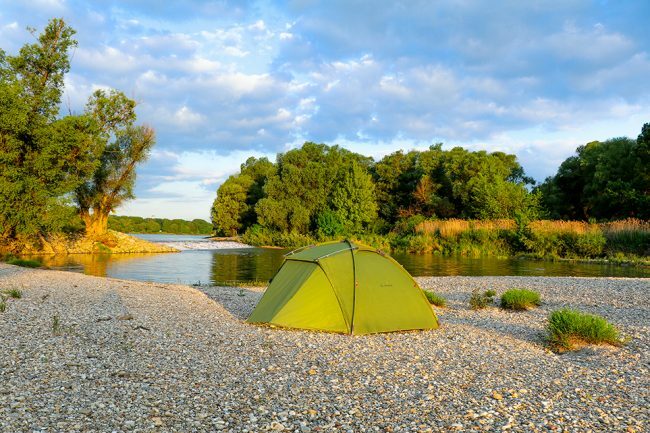 In many cases, it is not allowed to camp in the wild and having a neutrally toned shelter which blends into the environment will help you a lot. 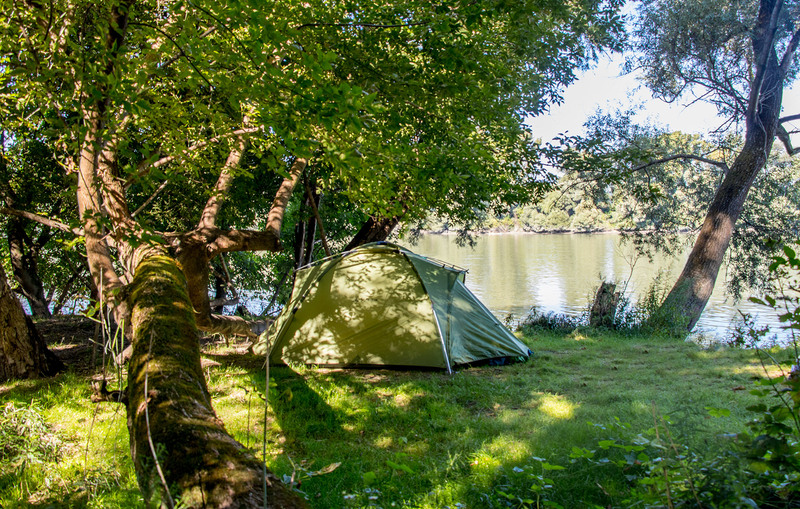 With a neutral green tent, others won’t spot you from far away. Blending in will avoid attracting robbers or assaulters in some dangerous areas. A vibrant colored flysheet looks excellent on pictures. In case of a storm, where you are trapped in the tent for a couple of days, the bright color will help to keep your spirit up. You will not have the feeling of being stuck in a pit of darkness. 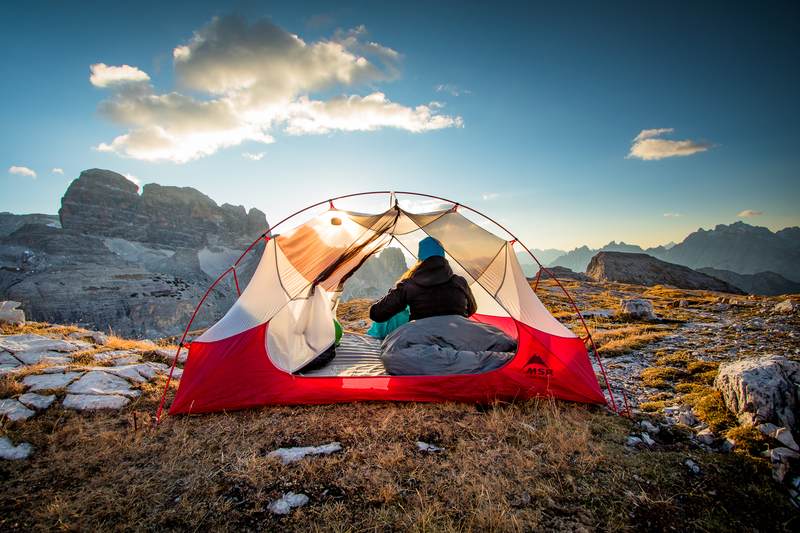 When you are planning to peak a mountain and build up a base camp, a luminous tent will be easier to spot on the way down, or in severe weather conditions. Are brightly colored flysheets attracting bears? Bears can see color, just like us. We don’t know if bears are more attracted to vivid colors, but you will be visible from a distance. Bears can be quite curious…. the flysheet color won’t make a massive effect to attracting bears. There are more critical protocols to keep bears away – like food storage…. If you have a removable flysheet, you can ask the manufacturer if they have more color options. 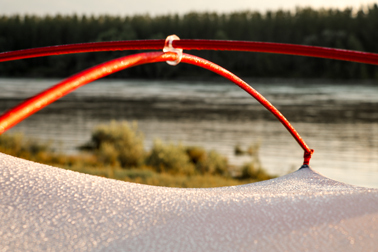 This way can change your flysheet, according to the type of adventure. 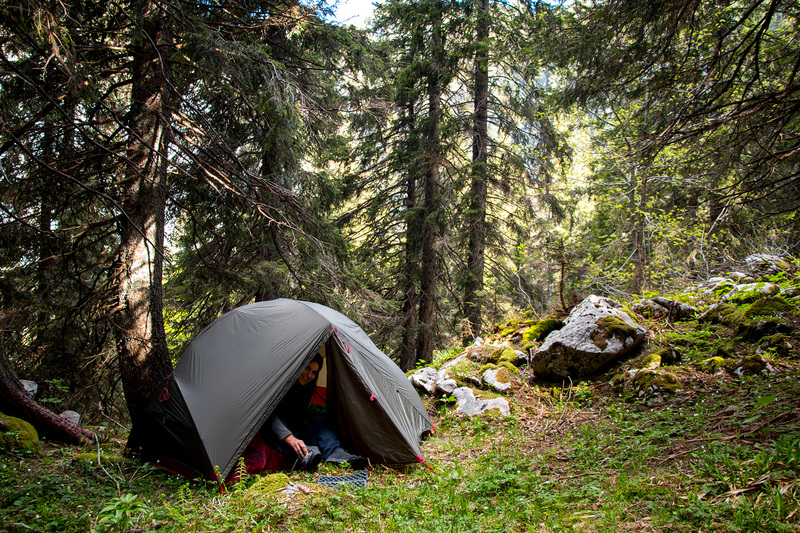 We have had many tents with different benefits before, but our overall favorite tent has to be the Hubba Hubba NX2. It is the lightest tent we’ve ever had and the tent with the best view. You can buy it in two different colors: white or green. We choose the green fly sheet because we like to camp in green areas and blending into the surroundings is important to us. Wild Camping isn’t allowed in a lot of countries and blending in is a huge advantage. Color follows function – at least in this case.